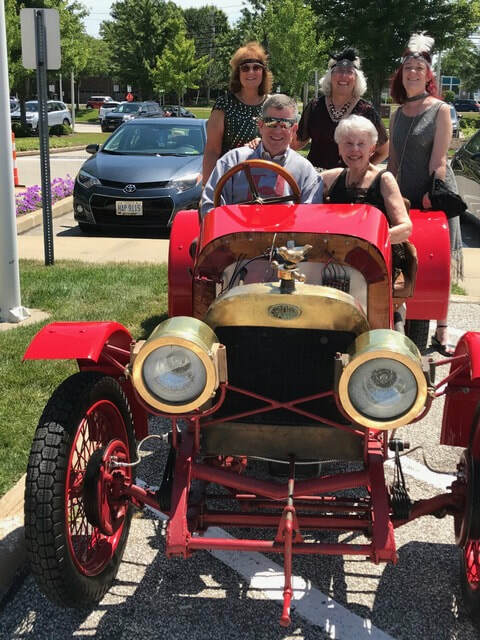 On July 19, 2018, Beachwood Historical Society and the City's Community Services Department sponsored a delicious Luncheon and Historical Presentation by Christopher Whipple. Participants learned about Cleveland in the 1920's. During this era, Cleveland was infused with the arts, culture, music, gracious gardens, theatre, World Series, glamour, Jazz, cars, monuments, millionaires, Van Sweringens, rum and much more. Cleveland was darb, berries and bee's knees. Translation for the 1920's slang is that Cleveland was the City. Cleveland was once the home to more millionaires than any other city its size. Philanthropic and charitable work still is associated with today's Clevelanders. Society enjoying the Luncheon. Do you see Daisy in the crowd?